• Visit the architectural complex Hasti Imam. • Excursion in Samarcand City. • Excursion in Bukhara City. • Visit Khudayar Khan Palace and the Cemetery of Kings. • Visit “Yodgorlik” Silk factory in Margilan. 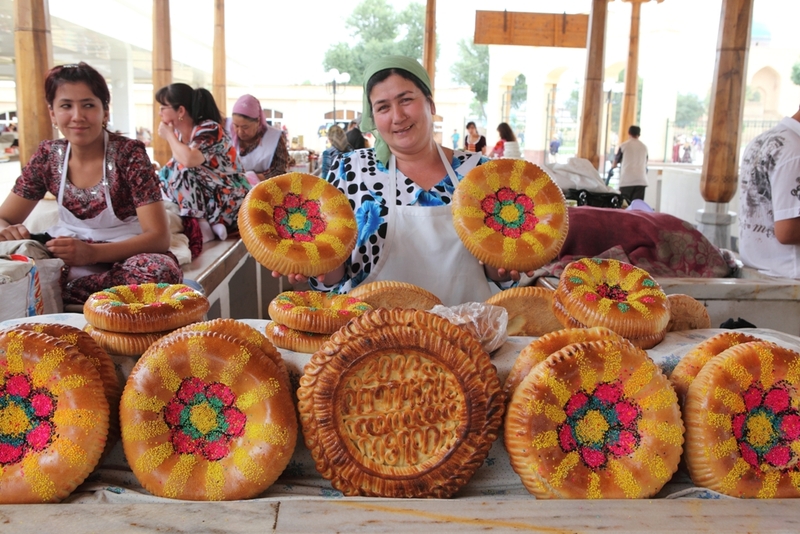 • Visit the ancient city in Kyrgyzstan – Osh City. • Excursion in Ala-Archa Natural Park. • Visit the ruins of the ancient Balasagun city on the Silk Road. • Visit Djety Oguz gorge. The arrival in Tashkent early in the morning. Meeting with guide and transfer to the hotel. Breakfast in the hotel. After breakfast departure to Samarkand. Accommodation and rest in the hotel. 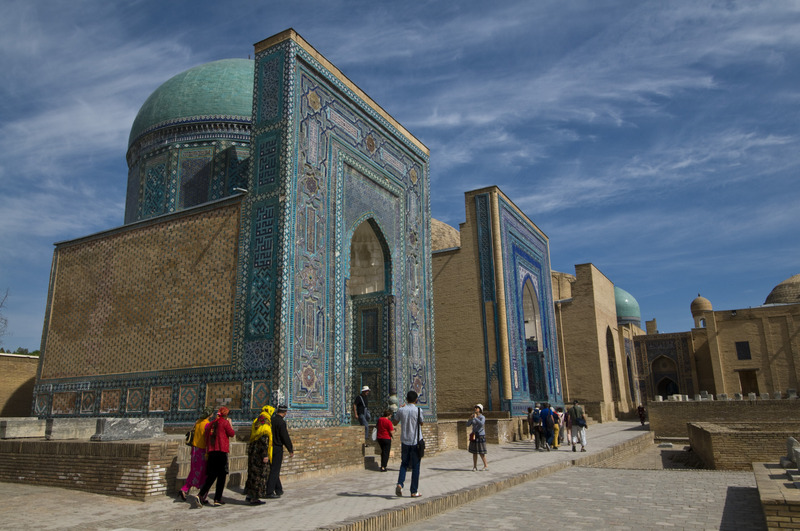 Samarkand city was one of the main commercial centers of the Silk Road during centuries. Today the “Blue City” is one of the main travel destinations in this part of world. In the afternoon transfer to Bukhara. 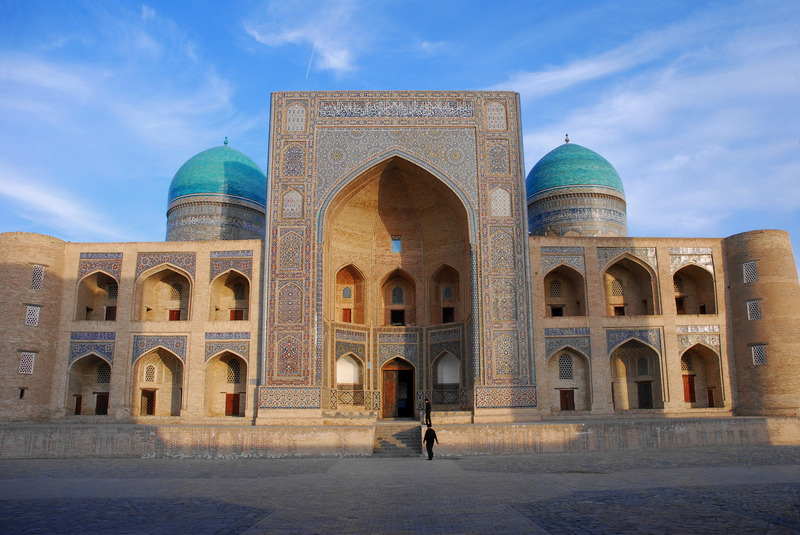 Bukhara is the ancient historic center of trade and Islamic culture in Uzbekistan. This city is the ancient oasis and trade point on Silk Road. Bukhara attracts with its impressive historical monuments, minarets and madrassas, narrow streets lined with oriental bazaars and ancient ruins. There is no doubt why the center of the ancient city of Bukhara has been declared by UNESCO as World Heritage Site. Accommodation and overnight in the hotel. After breakfast city tour: visit Chashma-Ayub Mausoleum, Bolo Hauz Mosque, Ark Fortress, Kalyan Minaret, Poi Kalyan Mosque, Miri Arab Madrasah, The Holy Spring, Toki Zargaron Dome, Ulughbek and Abdullazizkhan Madrasah, Toki Telpak Furushon Dome, Magoki Attory Mosque, Toki Sarafon Dome, Lyabi Hauz architectural complex. Transfer to Tashkent by train (08:05/14:50). After breakfast transfer to Kokand. Kokand is one of the most famous cities of Uzbekistan. 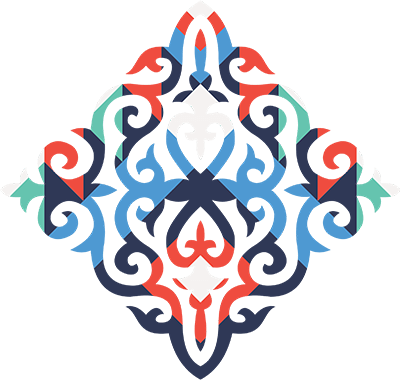 It was formerly the capital of the powerful Khanate of Kokand, which dominated in the Fergana Valley for centuries. Cemetery of Kings and two buildings built for the family of Omar Khan at the beginning of last century. Later transfer to Rishtan known for its ceramic industry. Visiting of ceramic workshop of Rustam Usmanov. Visit Silk Factory “Yodgorlik” in Margilan, where art works are made. 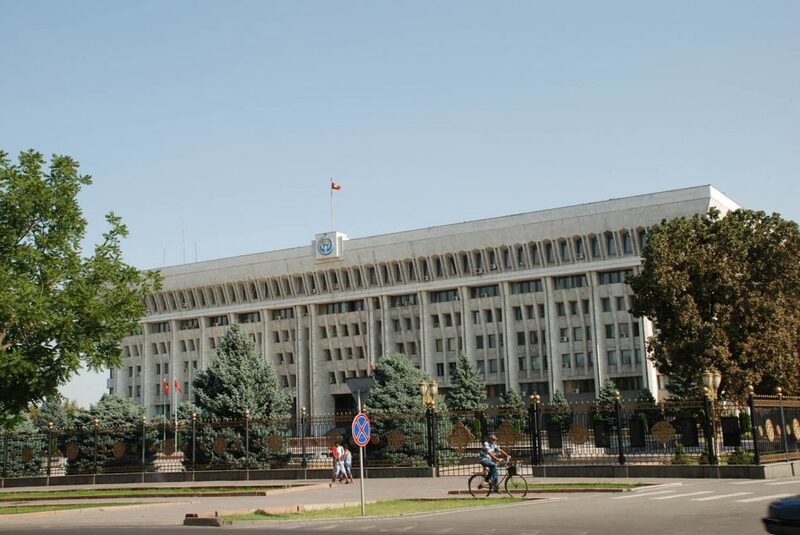 Fergana is the most industrialized and largest city in the valley with the same name, and is also the administrative center of the province of Fergana. The city is located at the height of 580 meters above sea level. This city is one of the most important cities in the production of oil. The city was founded over a hundred years ago by the first military governor Skobelev M.D. and had name New Margilan city. 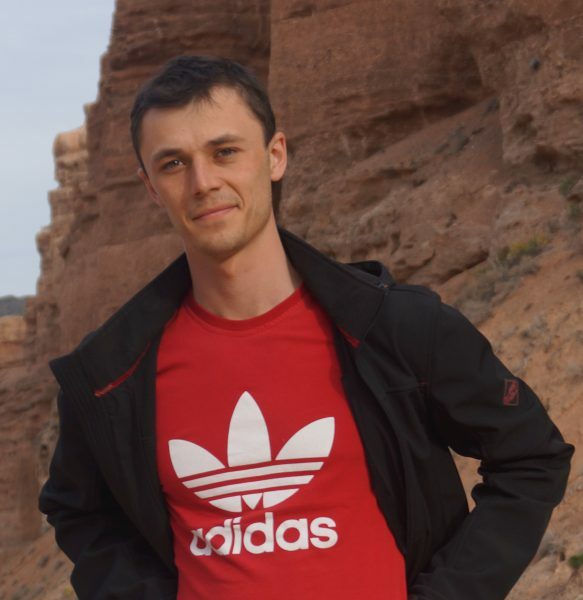 Transfer to “Dustlik” border. Meeting of the group by the local guide. Transfer to Osh city. Osh is the southern capital of Kyrgyzstan. It is one of the oldest cities of Central Asia, located at the southeast end of the Fergana Valley in the northern foothills of the Pamir mountains – Alai. 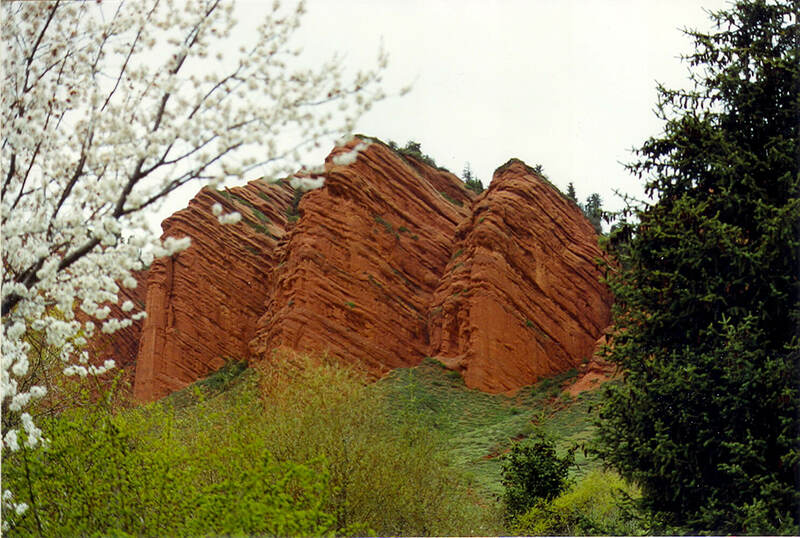 Then we have city tour: Suleiman Mountain, one of the treasures of the Islamic world of Central Asia. Suleiman Mountain is located in the center of town and is both a historical and cultural monument. The mountain guarding the city from enemies. Firstly we visit the historical museum, located in the main cave of the mountain. After a trip to the museum, we follow the “path of pilgrims” to the top of the mountain, where we can see the small mosque of Babur, the founder of the Great Mughal Empire. The city can be seen from the viewpoint located near the mosque. 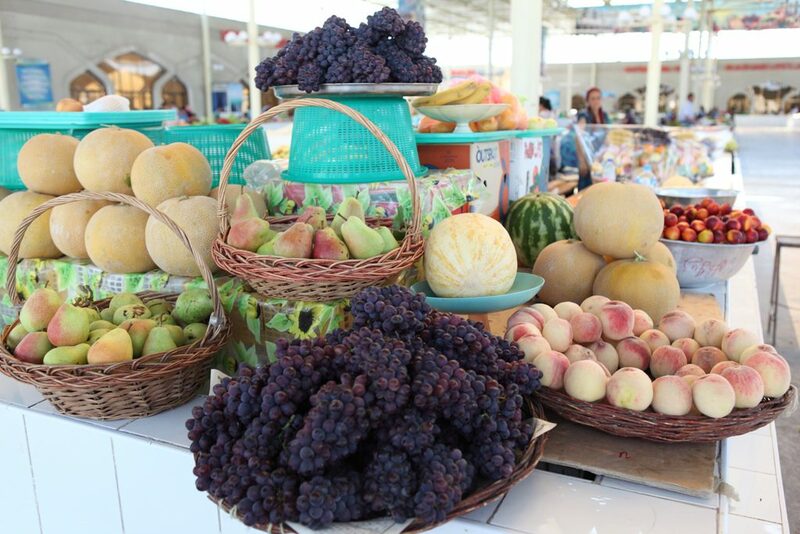 Visit Osh Bazaar, the largest market in Central Asia. You walk along the colorful rows of Golden market, watch black smiths working and smell aromas of spices, fruits and vegetables of Food market. You finish your immersing into oriental life by visiting the handicraft rows. In the afternoon flight to Bishkek. Transfer from airport to Bishkek. Bishkek – is the capital and industrial center of Kyrgyzstan, Bishkek is a city of wide avenues, handsome buildings and Soviet heritage. The gesturing statue of Lenin can still be seen in the city’s vast central square, yet it is the permanently snow capped Kyrgyz Ala-Tau mountain range which towers over Bishkek providing a quite stunning backdrop. After breakfast we drive to Ala Archa Natural Park located in a picturesque gorge of Ala Archa 40 km off from Bishkek. It is a popular place for hiking, skiing and mountaineering including trips to more than 20 glaciers. It covers the area of 200 km² – mostly forested valleys, waterfalls and rivers rich in trout. 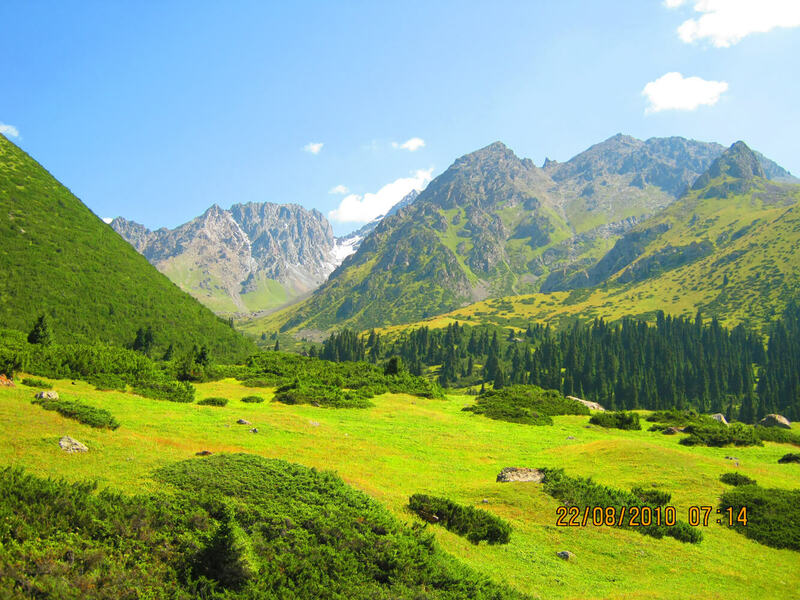 The altitude of ranges varies from 1500m to the highest point 4895m (Peak Semenov Tien Shanski). Several rare species of fauna and especially traditionally revered juniper trees are under protection in the Natural Park. It has very diverse fauna: mountain meadows are the habitat for wild goats, deer and marmots. Ala Archa National Park is one of the few places of the habitat of the rare snow leopard. In the afternoon transfer to Bishkek to begin our city tour. We visit Manas Monument, the main national hero of the Kyrgyz people. Then excursion to the State History Museum and transfer to the main Ala Too Square to watch ceremony of changing of the Guard of Honor, main governmental buildings, and finish at the Old Square with Parliament House. Optionally: On the area around the tower it is possible to organize horse riding games. After that we drive to the Issyk Kul Lake, the second largest alpine lake in the world after Lake Titicaca in South America. Measuring 182 km long by 58 km wide, the lake appeared as a result of volcanic activity. It is heated from below by thermal activity and never freezes even in the depths of winter. In Cholpon Ata town we visit so called “Stone Garden» or Cholpon Ata Petroglyphs site. Cholpon Ata Petroglyphs site is – a large open-air collection of rock carvings sometimes referred to as a Stone Garden, which covers some 42 hectares and contains a number of prehistoric monumental structures (stone circles, tombs, the remains of a boundary stone wall, Balbals) and Petroglyphs (dating from the II millennium BC thru the Middle Ages and up to the VI century AD). Optionally: You can go on an hour boat cruise in the lake to admire clear water of Issyk Kul with snow capped Tien Shan Mountains in the background! 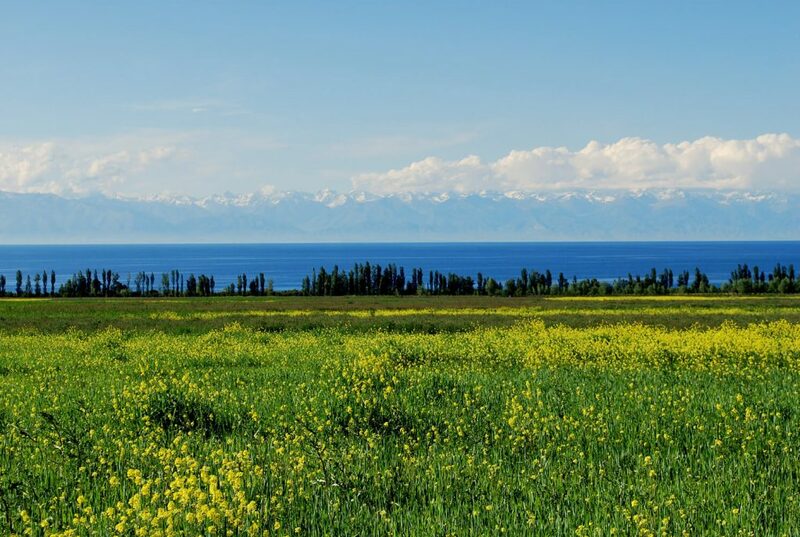 After that we drive to Karakol town along the northern shore of the Issyk Kul Lake. We visit Museum of N. M. Przhevalski, Dungan mosque, Old Russian Orthodox Church. In the morning we visit Djety Oguz gorge to admire the landscapes and to make some photos. 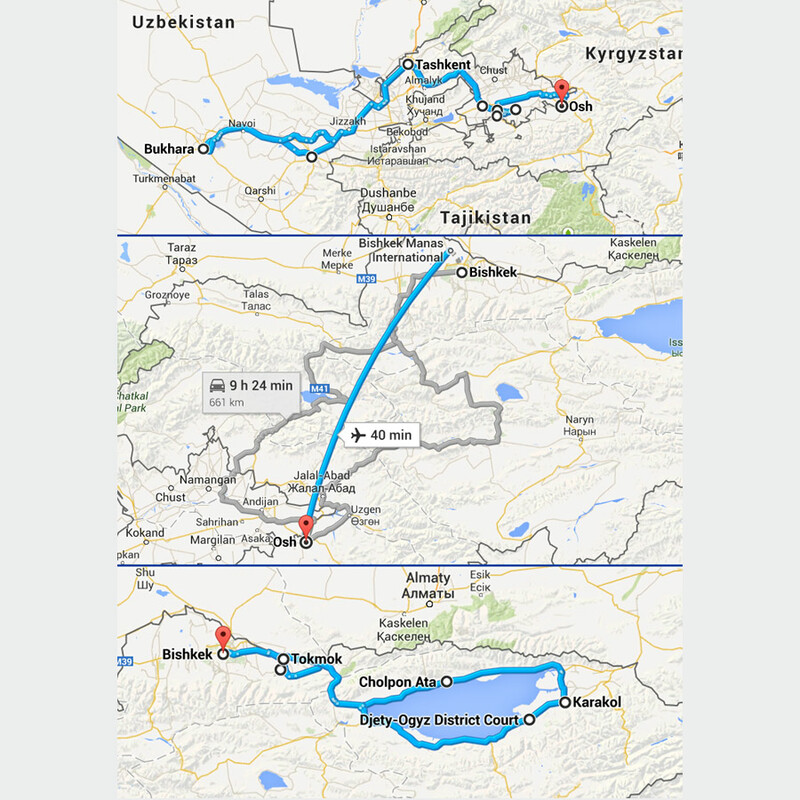 Transfer to Bishkek city by the south shore of Issyk Kul Lake. A short stop on the way for hiking Skazka gorge. Excursion and opportunity to take photos. Arrival in Bishkek. Accommodation in the hotel. In the morning transfer to the airport to catch your flight back home. For information about dates and prices for the tour please fill in the form in the upper right corner of the page. 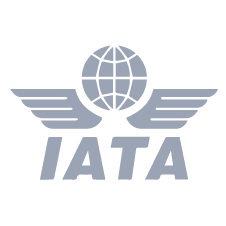 The manager will contact you as soon as possible with more information about the itinerary and prices. Transfers according to the program. One or two a/c minibuses (Mercedes Sprinter or similar) depending on the group siz. Demostration of traditional horse games near the Burana complex – 150 USD per group. 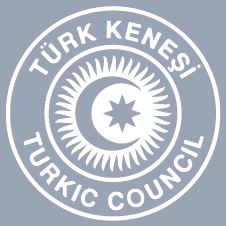 Tashkent – Khiva – Bukhara – Samarkand – Shakhrisabz – Tashkent – Chimkent – Turkestan – Chimkent – Bishkek – Issyk Kul – Karakol – Bishkek – Almaty.